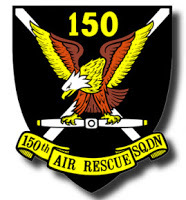 There will be NO Squadron 150 Meeting this Thursday 18 October as many of our members will be attending an event associated with the Great Pacific Airshow. As a reminder the airshow is this weekend 19-21 October in Huntington Beach. 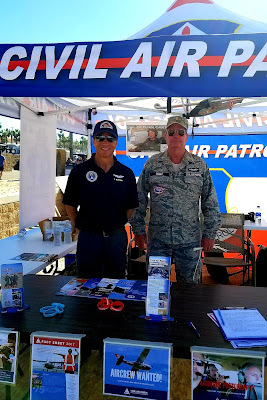 Please stop by our Civil Air Patrol booths at the airshow and say, "hello!" We will be meeting as regularly scheduled on 25 October. 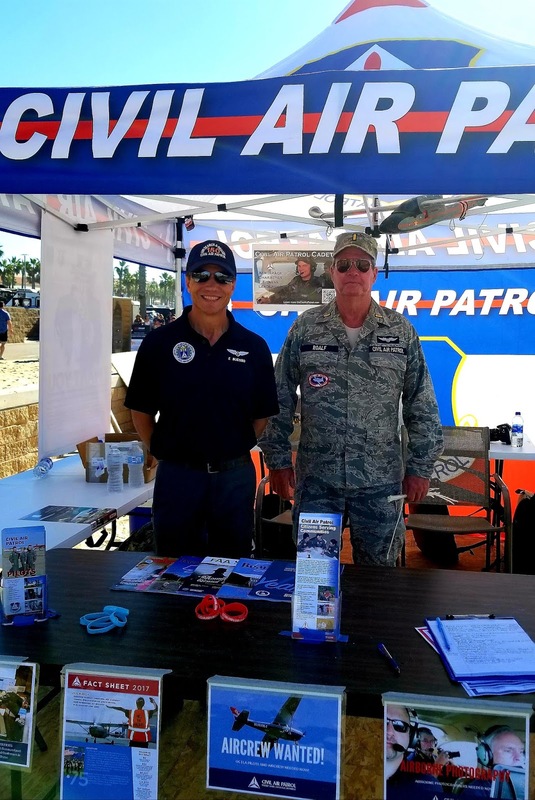 A save Sunday afternoon off the southern tip of Florida has given Civil Air Patrol a new record for lives saved in a fiscal year – 155, as credited by the Air Force Rescue Coordination Center (AFRCC). Virtually all of those saves – 147, or 95 percent – occurred with the support of CAP’s National Cell Phone Forensics Team. The organization totaled 154 saves in fiscal 1983 and again in fiscal 1994, surpassing 100 in 16 of the previous 51 years. Before that, saves weren't reported annually. “An amazing year for CAP!” was the response of Maj. Gen. Mark Smith, CAP national commander, when he learned of the record-breaking number of saves. The Florida save occurred after the AFRCC at Tyndall Air Force Base, Florida, contacted the cell phone team at 4:20 p.m. about a boater whose disabled craft ran aground after he left Naples, Florida, at 9 a.m. Contacting the relevant cell phone provider resulted in information about a ping 5,000 meters off Joe Kemp Key. At 5:21 p.m., just over an hour after the AFRCC contacted the cell phone team, the U.S. Coast Guard used the team’s data to find the boater. The new saves record reflects continuous advances in technology and training in one of CAP’s key missions, search and rescue. CAP’s total team effort for search and rescue, which also includes the National Radar Analysis Team and state- and locally based ground teams, totaled 1,044 missions for fiscal 2018. The cell phone team participated in 373 of those missions, compared with 78 for the radar team. In addition to saves, the AFRCC credited CAP with 640 finds for fiscal 2018, of which 199 involved the cell team and 53 the radar team. Last year the total number of missions stood at 798. The mission count for fiscal 2016 was 946. Before 2009, the AFRCC assigned about 2,000 missions a year to CAP, with searches for activated emergency locator transmitters dominating. After the satellite system that monitored the old 121.5 megahertz beacons was turned off in February 2009, the annual mission count dropped by at least half. Since then, the cell phone team has been a major contributor to the rising annual mission count. Cell phone data is often the first tool used in a search for a missing individual, as most people, including pilots, go nowhere these days without a cell phone. Cellular data can eliminate search areas and curtail the search time. Lost hikers, snowmobilers, skiers and boaters have been found with the help of cell phone data. 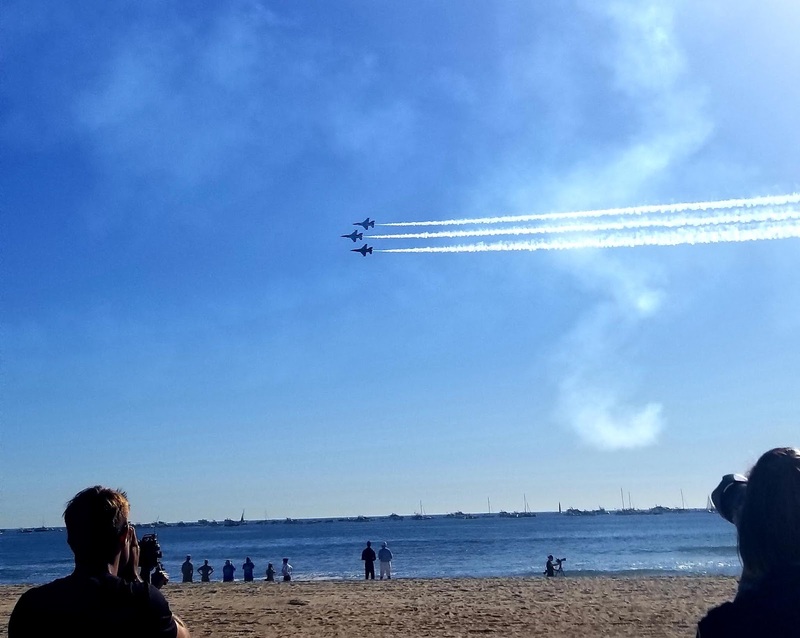 “It’s not just where the phone last was, but we can get a picture of a stream of events over time,” said Maj. Justin Ogden, who built and has improved the software the cell team uses. That team, which began with Ogden in 2006, now has eight members. It’s growing to meet the increasing requests for support, Desmarais said. Early on, Ogden would manipulate cell phone data by hand in Excel and then use Google Earth to inform searchers. Now, smartphones are ubiquitous and the amount of data they provide is too overwhelming to work by hand. So Ogden created software that would crunch the raw data and pour it into a program that connects to Google Earth. When a person or plane is reported missing, ground search begins using clues from the cell phone team. Across the country, about 900 ground teams of three to six people are called upon to provide the feet, eyes and ears in a ground search, Desmarais said. An incident commander, once notified, contacts wing personnel. 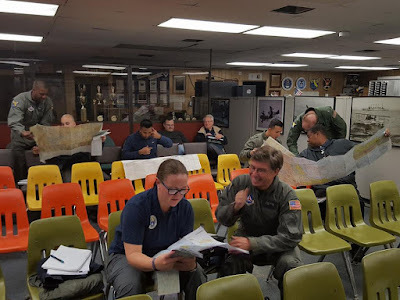 The incident commander identifies staff and field resources and ground team members to go in and assist either the relevant state agency or the CAP commander, depending on which one is leading the mission. “It’s all investigative work, with people analyzing data,” Desmarais said. 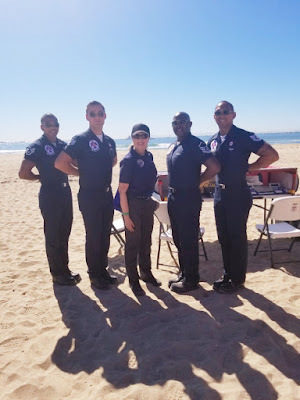 As a search grows longer, incident commanders make decisions about the scale of the effort and resourcing in order not to waste time or put people at risk. CAP may lead a search or help a local jurisdiction with a search. The cell phone team stays busy with searches for both aircraft and individuals, such as lost hikers. Summer is an especially busy time. The team worked its 1,500th mission this July searching for a lost hiker in Utah. “The cell phone team is going all the time,” Desmarais said.